IDIS has announced that it is integrating a range of its high-definition (HD) cameras with video management software (VMS) from Genetec. The development brings to market a combination of IDIS network dome cameras, including vandal-resistant and infra-red models, with Genetec Security Center, an open-architecture, unified IP-security solution. 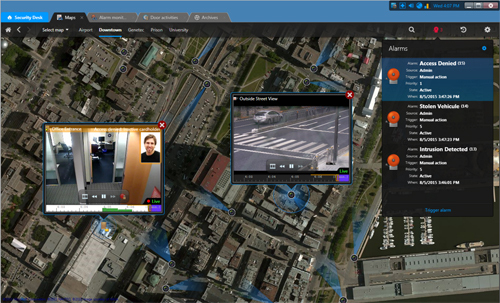 Security Center, blends IP access control, video surveillance and automatic number plate recognition (ANPR) within a single interface to simplify the management of security operations and situational awareness. Through this collaboration, IDIS and Genetec aim to make it easier for organisations to improve safety, security and protection for their people, property and assets while benefitting from the advantages offered by HD surveillance. Cameras that are being integrated and validated with Genetec Security Center will include the IDIS DC-D1223WX, full-HD vandal-resistant dome camera, and the DC-D1223WHR full-HD vandal-resistant IR camera.